The Pyle PMSA20 - Compact PA Amplifier provide convenient audio source control. This public address system features (3) front panel 1/4’’ input jacks. 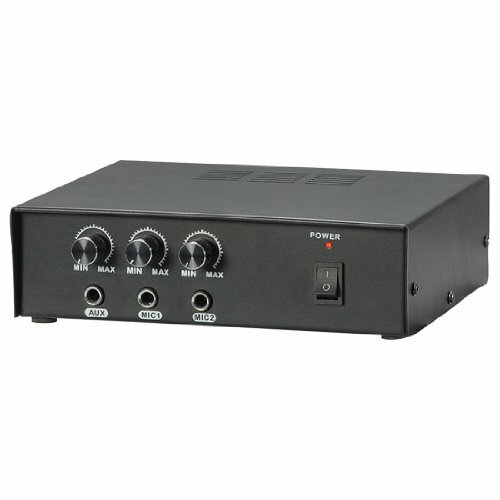 Multi-source connection allow you to connect external devices like microphones and sound systems via AUX input. Control volume levels with the independent input rotary volume controls located on the front panel. The system includes a power cable or use the rear panel spring-loaded power input terminals.